No matter how hot and steamy your destination, air-conditioned planes, malls, trains and public buildings are unavoidable. A regular-weight hoodie will allow you to rest comfortably on cold journeys or to sit through a film in a chilly cinema. Read the price list for laundry at your hotel and you’ll wish you’d brought some washing powder. It doesn’t have to be a posh hotel, a 3 star hotel in Ethiopia can still have exorbitant laundering fees. I’m talking about $22 for a shirt, ironing not included. I shudder to imagine the cost of a week’s washing. I choose powder over liquid as it doesn’t leak, but either is good. Some people use shampoo and conditioner, which is all very well for them, but I am a grubby person who is always covered in mud, sweat and sand – my clothing requires a deep clean in antibacterial detergent. Hand washing may sound like a daunting task but it’s a piece of cake. Put on some music, soak clothes for 10 minutes and agitate with your hands, scrub stains with your fingers and then rinse. Then rinse again. Then hand wring. For delicate items, squeeze them into a ball with both hands. Hang them in the bathroom or in the wardrobe with a towel on the floor. Open the doors and turn on the heating/open a window. I’ve just saved you hundreds of dollars. You’re welcome. 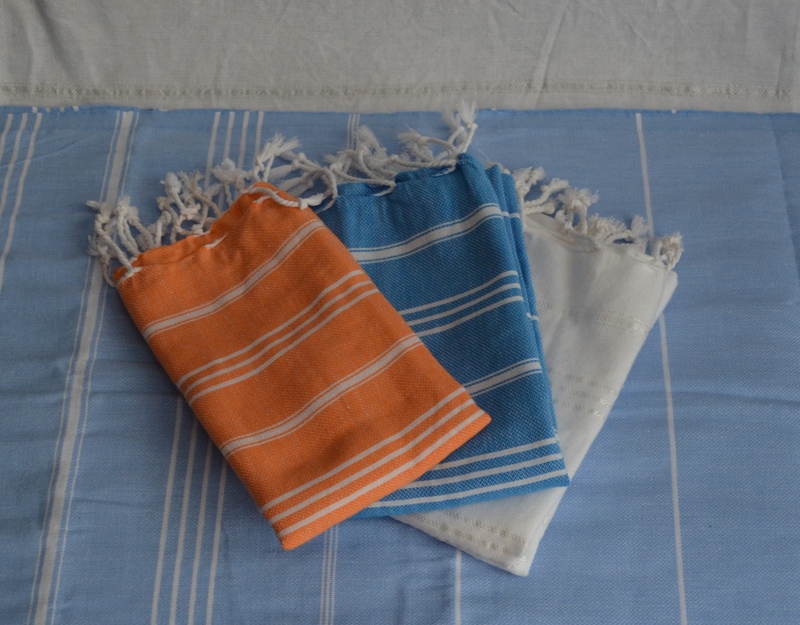 The most versatile item in my suitcase, a 100% cotton sarong or Turkish peshtamel towel can be used as a clean sheet, a beach/bath towel, a picnic rug, a plane blanket on a budget airline, a storage hammock, a curtain, a sunshade. They are easy to wash and dry overnight. I won’t leave home without one! When travelling to colder climates, a pashmina will also do the trick. This magical elixir is so much more than just a salad dressing. These are but some of the ways to use olive oil: hair conditioner; shoe cleaner; to unjam stuck zippers; facial exfoliant with a hot towel; body moisturiser; eye make up remover. If you are organised you can bring your own disposable bottle from home, added rose or lavender essential oil is optional. You can even ask for a small cup of it if you are staying at a restaurant or a home. NB – Olive oil is not a shoe polish for regular use as it doesn’t condition the leather, but it will help lift mud from shoes and bags. Sleep anywhere, anytime with a box of these beauties. 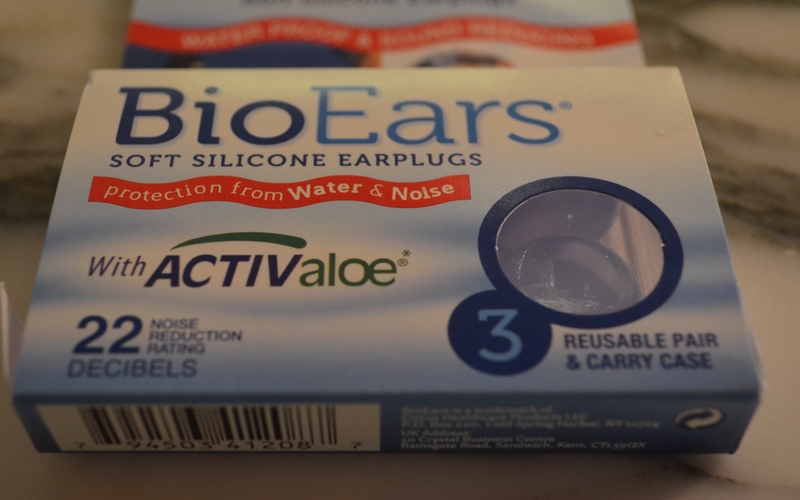 Silicon earplugs are reusable (until they are discoloured and no longer sticky) and the quality of your sleep is dramatically improved in places like noisy highways, crowded rooms or on overnight train and plane trips as they almost completely block out noise. This does mean that you may need to set your alarms a little louder and inform airline staff to shake you awake in an emergency. Countless fools that I’ve met have lose their entire travel funds by keeping their money somewhere obvious to thieves, like a wallet. One unfortunate woman encountered in an Italian police station wore a passport case over her clothes – and lost it. If you have your passport, credit cards and cash in three different places (a money belt, an interior pocket and your carry on bag) then it splits the risk of loss and theft destroying your trip. 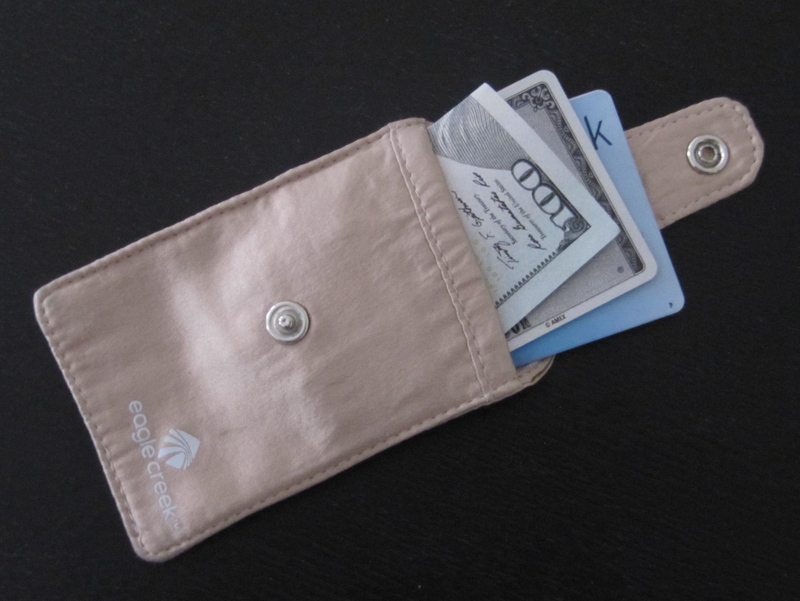 I carry a silk Bra Stash pouch by Eagle Creek which can hold credit cards and cash – they are easily fastened around and bra or vest strap. They also have silk money belts which are invisible under clothes and comfortable.My passport is always in its holder, around my neck, under my second layer of clothing. I still don’t think it hurts to hide a stash of $100 somewhere else in your belongings. The Eagle Creek Bra Stash. It’s a lifesaver. Load up said devices with books, tv shows and films. Budget airlines have no inflight entertainment; many regular airlines don’t even show films on shorter flights. Downloading books saves toting heavy novels and travel guides. As of 2015, most airlines allow smaller electronic devices such as iPads and mobile phones set to flight mode to be used during take off and landing, but not computers. Don’t forget your earphones. These are a great investment for your phone, iPad or computer as they double the battery life, enabling you to work/play for twice the time on a long journey. These babies have saved my suitcase from ruin on many occasions. Wet towels or clothes and muddy shoes? Leaky shampoo bottles? Chuck them in the bag and your backpack will be A-OK.
It’s lightweight, comfortable to carry and it has a TARDIS-like ability to hold so much more than you think it can. This is what constitutes the perfect hand luggage. I’ve found my bliss in Longchamp bags, they are the only carry-on for me. Kipling would be my second choice, they are slightly cheaper. Both brands make hard wearing yet feather-light bags. Had to laugh at wash powder…not that long ago, I was washing a week’s worth of laundry in a Macau hotel because I didn’t want to spend money on laundry service! Ha! It’s not being cheap, it’s being sensible – who pays $150 for a week’s worth of clean clothing?